Thornton and Melba (Meyer) Patberg have been long time friends of the University of Evansville, to say the least. Thornton, a 1952 Evansville College graduate, returned to the University as the Director of Admissions in 1957. He served in this position until 1972 when he became Vice President of Student Affairs. In 1985, he shifted to the position of Vice President for Development. He retired from the University of Evansville in 1994, but he and Melba have continued their involvement with the University, volunteering in many capacities. Melba earned her bachelor's degree from the University of Evansville in 1966 and her master's degree in 1968. She was an associate professor of mathematics at the University of Evansville until her retirement in 1994. Both have been long-time Aces Athletics fans and Aces basketball season ticket holders for decades. Thornton was a former basketball player and a proud member of Phi Zeta (now Lambda Chi Alpha) Fraternity. They are life-time members of the President's Club and members of the John Collins Moore Society. Thornton currently serves on the UE Planned Giving Advisory Council. In 2007, Patberg received the Edie Bates Volunteer Service Award. In 1997, they established the Melba and Thornton Patberg Scholarship that is awarded each year to an upper classman who maintains a GPA of 2.75 or above and who does not normally qualify for financial assistance. 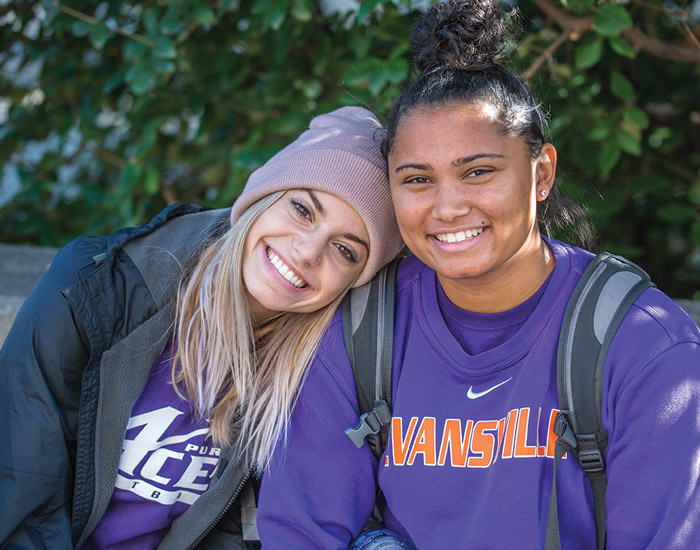 During their tenure at the University, they have impacted the lives of countless students, and their legacy continues to live on through thier recent choice to make a planned gift to UE. 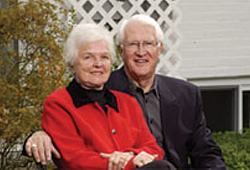 In 2009, Thornton and Melba established a Charitable Gift Annuity at the University of Evansville. In doing so, they were able to transfer marketable securities to the University of Evansville, issuing the gift annuity in exchange for a current income tax deduction and the University's promise to make fixed annual payments to the Patberg's for life. Upon their passing, the principal investment will be transferred to their endowed scholarship to help UE students achieve their dreams. The Patbergs continue their leadership at UE, and for their friendship and invaluable loyalty to UE, we salute them.